This kit contains 2 LED strip offering additionnal light source to your installation. You have different possibilities to set up the led strips, it can be in front, aside, horizontally or vetically. Built up with ultra-bright LED photography lights from Havox, it's the perfect solution for high quality, color accurate product photography. The High Color index rendering (CRI value: 91%) LED chipset ensure maximum color accuracy with "daylight" 5500K color temperatures and a light flux of 13,000 lumens. Much more efficient than with traditional fluorescent or incandescent light. All HAVOX products are warranty 2 years. Contact us if you have any question. 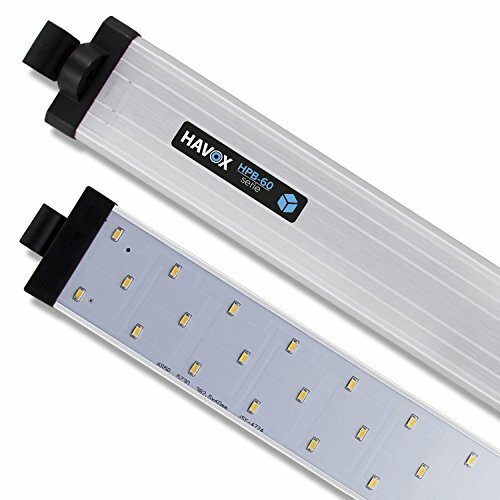 The perfect solution to bring more light to your Havox photo studio. Double LED strip with a light flux of 13,000 lumens. Installation or removal, between 3 and 5 minutes (no tools required).